Today we have a new FREE version of Zombie Escape for you to download! 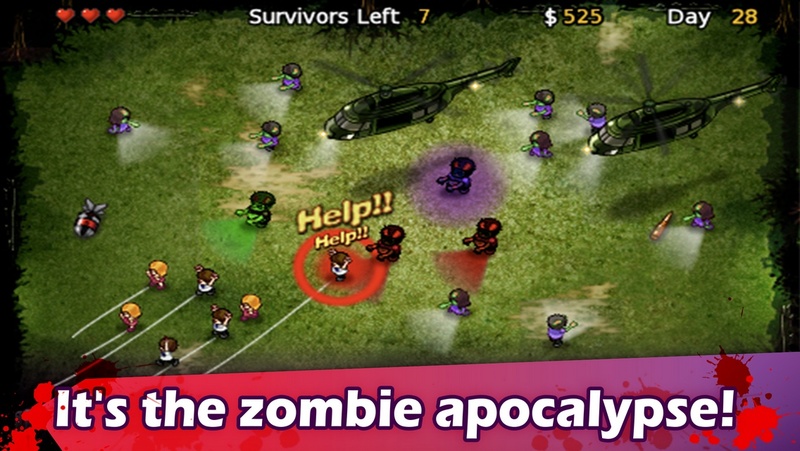 Zombie Escape Free allows you to play the full game for free on both your iPhone and iPad. Zigzag your way through hordes of zombies. Decimate zombies with a variety of weapons and abilities! Strategically deploy multiple weapons together for maximum effect. Unlock and upgrade new weapons including air strikes and tesla coils! Meet evolved zombies with even deadlier abilities. Play through the campaign and get high scores in survival mode! We've just released First Class Flurry for iPad on the App Store. It's a FREE download, so no reason not to try it if you have an iPad. And if you ever wished for First Class Flurry 2 then please show your support by downloading First Class Flurry for iPad and please tell everyone you know about it! Shop-N-Spree 3 - Shopping Paradise is Out! The third game in the Shop-N-Spree franchise developed by us has come out! Get it now at BigFishGames.com! Set a course for fast-paced fun in Shop-n-Spree: Shopping Paradise! Build and run a series of amazing internationally-themed malls! Serve customers, upgrade stores, and create new items as you turn the island into the world's premier shopping destination in this exciting time-management game! 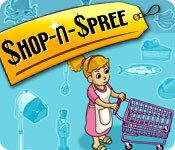 Our newest PC downloadable game Shop-N-Spree: Family Fortune has just been released on BigFishGames.com! 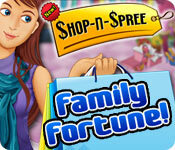 Shop-N-Spree: Family Fortune is the sequel to our previous game Shop-n-Spree. There are tons of improvements in the sequel including vastly improved graphics, 3 stores to build and brand new minigames! UltraDeep, our latest iPhone / iPod Touch game has just been released! Get it now on the App Store! We designed UltraDeep to be extremely addictive and very easy to get into. It is a pickup and play game that will have you wanting 'just one more try' every try! And the cool thing is that it can be played wherever you are and even if you don't have a lot of time such as when waiting in line because it is playable with just one hand. You can collect diamonds to charge up your superpower and then tap the screen to use it. This will have you smashing down through obstacles at satisfyingly high speeds. Go even faster by leveling up your superpower. And on top of that, the diamonds you collect in each game can be used to buy additional powerups and upgrades! 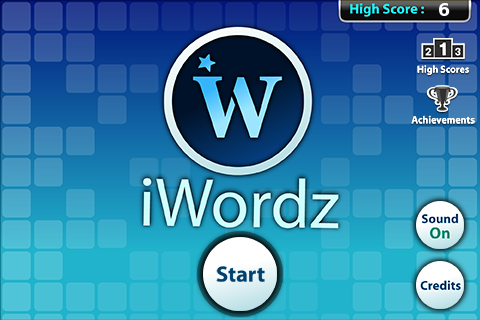 The game supports both GameCenter and OpenFeint online leaderboards and achievements. So, what are you waiting for? Go get UltraDeep now on the App Store! Zombie Escape gets raving reviews! 1.0.1 update out. TouchArcade: "Zombie Escape is 'at the forefront of line-drawing games' and 'notoriously hard to put down' "
AppAdvice: Must Buy 4.5/5 stars - "Zombie Escape is a must buy for $0.99, and is an upper echelon path drawing game as well as game in general"
IGN.com: Rating 8.0/10 Impressive - "at only 99 cents, Zombie Escape is a great deal for a lot of good gaming." iPhone Alley: "With all of these features, I don't see how the game could be priced for such a low tag. ($0.99)"
AppSmile.com: Rating 5/5 - "Zombie Escape exceeded our expectations and continues to engage us with both style and substance." TheAppera.com: "Zombie Escape is a perfect example of how one game can reinvent the whole genre. ", "For $0.99, I can't think of any other game that has as much amount of content and fun packed onto one little game. " TouchGen.net: Rating 3.5/5 - "if you are a fan of Flight Control and that genre, then this is a no brainer... especially for only $0.99"
TouchMyApps.com: 'Kiss It' Rating - "Zombie Escape is one of the most polished titles I've ever seen." If you haven't got the game yet, get it now! BTW, a maintenance update for Zombie Escape (1.0.1) has been released. This update fixes all reported issues including crash issues and also improves performance of the game especially on older gen devices. UltraDeep! is an upcoming doodle style action game for iPhone/iPod from Viqua Games where the aim is to go as deep as you can! You can also "level up" your superpower to make it go even faster. And there are unlockable items that will help you go even deeper! We've designed the game to be simple but super addictive and as you can see it is a FAST action game. It's coming soon from Viqua Games. The price will be $0.99. Our upcoming iPhone game Zombie Escape has just been previewed over at TouchArcade.com! Check it out to learn about this upcoming game and watch the hands-on preview video by the TouchArcade staff. 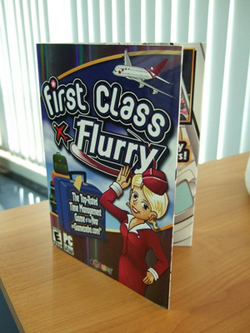 We've had tons of positive feedback from everyone after we released First Class Flurry. We're so delighted to see so many people like the game. It feels absolutely wonderful to know that something we created has resonated with people. Thank you to all the reviewers and everyone for your feedback! We've had tons of fun developing this new game for you. Its name is First Class Flurry. It is the first time management game ever(!) where you get to play as a flight attendant (some people call them air hostesses or stewardesses). In First Class Flurry you will be helping Claire take care of passengers for Starlink Airlines and help bring Starlink back to the top of the airline business. We're big fans of time management games ourselves so we tried to create a game that we had fun playing ourselves. We tried to focus on the things that time management fans will like. 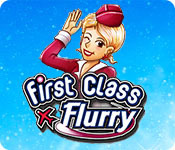 So please go ahead and download First Class Flurry and decide for yourself if we got it right! Doggie Dash! A Dash game developed by Viqua Games. Doggie Dash is the newest Dash game from PlayFirst. 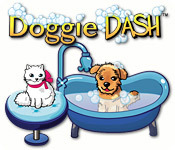 In Doggie Dash you will get to take care of many cute dogs and cats of many breeds. Wash, groom and dress up cute pets and build a pet spa franchise. This is the latest game that we developed together with PlayFirst. If you like pets, be sure to try it out!